On Tuesday, January 24, at 6pm, artist and scholar Marlene Aron will share stories about Vincent van Gogh’s childhood, places he lived, jobs he held before he became an artist and his life in Paris, as he discovered, socialized, exhibited and became friends with the new avant-garde artists of the day: the Impressionists. Van Gogh’s turbulent and sometimes mysterious life has provided a fertile springboard for fiction writers trying to fill in the gaps. 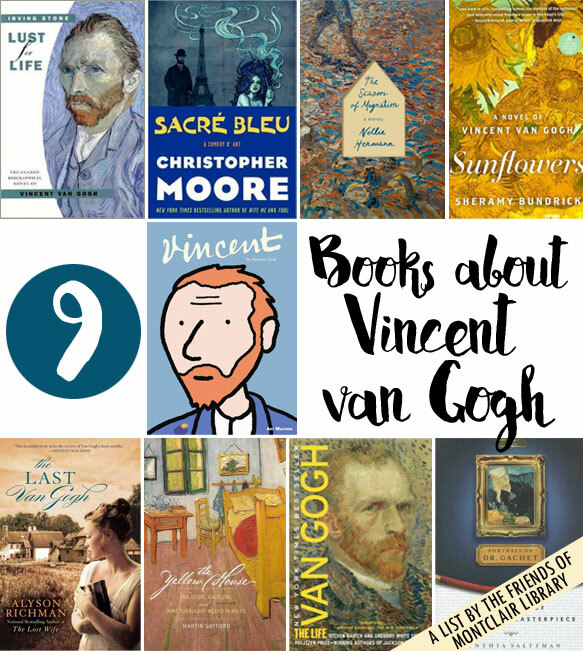 Warm up for Aron’s visit with one of these novels inspired by Van Gogh’s life and works. 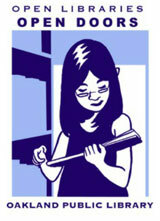 Whether you’re looking for sweeping historical fiction or slightly wacky comedy, there’s something here for everyone. This book inspired the 1956 Kirk Douglas movie of the same name. The Season of Migration: A Novel by Nellie Hermann (FIC HERMANN) – In December 1878, Vincent van Gogh arrives in the coal-mining village of Petit Wasmes in the Borinage region of Belgium as an ersatz preacher. What Vincent experiences in the Borinage will change him, as he learns about love, suffering and beauty, ultimately coming to see the world anew and finding the divine not in religion but in our fallen human world. Portrait of Dr. Gachet: The Story of a Van Gogh Masterpiece: Modernism, Money, Politics, Collectors, Dealers, Taste, Greed, and Loss by Cynthia Saltzman (759.9492 SALTZMAN) (not at Montclair) – Chronicles the painting’s one-hundred-year history, from its creation shortly before the artist’s death, to its sale for $82.5 million in 1990, [through] the lives of the thirteen extraordinary people who owned the painting and shaped its history. « What’s all the Hoopla about?